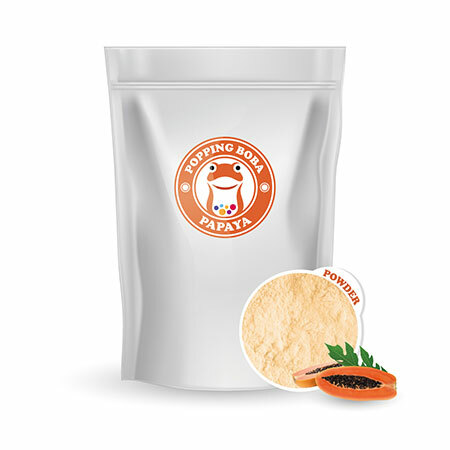 We are technical Papaya Fruit Powder manufacturer, supplier, exporter and factory in Taiwan. We also serve as service provider and function as business partner for the procurement of the products from the manufacturer of repute suitable in the buyers. We are a one stop shop for all kinds of products. We render wide range of services for customers, contractors satisfying their needs. Our engagement minimizes buyers business risk when they buy through us as we keep regular control over quality during production process and ensure co-ordination with the vender for timely delivery. Papaya Milk Powder is one of the flavor powder series. It has rich taste of fruit, could go with hot water or tea and stir well to drink. Papaya milk is one of the most popular drinks in Taiwan, it's made with papaya, milk, sugar and ice cubes. This powder could be diluted and added fresh milk, or to be made into smoothie, with papaya's thickness and brightening milk, interweaves as a little happiness in the afternoon.